Costa Rica is well known as a top global ecotourism destination, where millions of visitors find peace and tranquility in luscious rainforests and a warm, welcoming culture. Less well known are Costa Rica´s other economic engines — the high-tech industries taking root beyond the rainforests. Software development, robotic process automation (RPA), electronics manufacturing, superfood development, and R&D for the MedTech industry are the prime examples. The country has transformed from an agricultural economy to a diverse and thriving economy whose top industrial export product is medical devices. Costa Rica exports 4,355 products and services to more than 151 countries; it has preferential trade access to two-thirds of world GDP thanks to a strong network of Free Trade Agreements including with the US, Canada, the EU, China and Singapore. More than 280 high-tech companies, 24 percent of which are Fortune 100, have established successful operations in Costa Rica and are still growing. In 2015 alone, nearly two-thirds of current investing companies expanded operations in the country. This dynamism reflects in FDI inflows growing an average 7.5 percent annually since 2005 and a GDP per capita that is the highest in LATAM at US$15,482. Costa Rican human talent is highly skilled, productive, motivated and innovative. The country ranks No. 1 in innovation in Latin America and in pay to productivity, as recognized by the World Economic Forum. Surprisingly enough, it holds the leading position in exports of IT and telecom services in the region. Costa Rica enjoys a constant supply of STEM university graduates at more than 8 percent every year and IT graduates at about 7 percent annually. CINDE, the Costa Rican Investment Promotion Agency, works closely with investing companies to match their needs with academic resources. As a result, it has developed 23 technical or specialized programs in the last decade tailored to those companies’ specific requirements. CINDE´s measurement of investing companies´ productivity has identified an average output per employee growth of 57 percent over the last decade, from $35,000 to $55,000 per employee in the services sector; while the MedTech sector has experienced an average output growth of 45 percent since 1999, from $76,000 to $110,000 in 2015 per employee. A robust incentives package for investing companies that meet WTO standards offers as low as 0% income tax, providing a full-circle loop to reach true ROI on operations. Costa Rica ranks 2nd among Latin American countries in the World Economic Forum’s Enabling Trade Index. It made an impressive improvement of 25 positions in the World Bank Group’s Ease of Doing Business Index between 2015 and 2016, positioning it at No. 58 among the top third of countries. Multinationals have their own customs code to complete their export processes on-site, and they can access a one-stop shop for export procedures where all export-related documents including health permits, agriculture and the like are processed in a single location. In Costa Rica, high-tech goes hand in hand with sustainability. It ranks 11th in the world in Dual Citizen’s Global Green Economy Index. Almost 100 percent of electricity in Costa Rica is generated from renewable sources, a mix of hydroelectric, geothermal, biomass, solar and wind; renewables provide 99.43 percent of coverage in the nation´s territory. The focus is not only on clean energy but also in its performance: The country ranks third in Latin America and 13th in the world on Energy Architecture Performance. Industrial real estate and corporate office building developers have also joined the “Green” concept in the construction arena. Costa Rica hosts the first LEED-certified company in Latin America and hosts to date over 120 LEED-certified projects under the Green Building Counsel, including the first LEED Gold Certified Business Center in Latin America, which operates a Free Trade Zone. CINDE (Coalición de Iniciativas para el Desarrollo) is the official agency responsible for the attraction of Foreign Direct Investment (FDI) into Costa Rica. Founded in 1982, it has helped hundreds of companies set up operations and grow in the country. CINDE is committed to providing the best service and assistance to investing companies, at no cost. 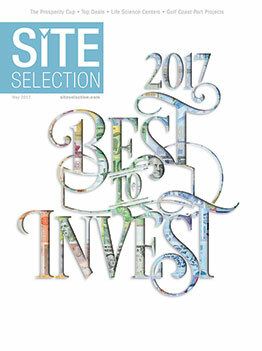 It was recognized in 2016 and again in 2017 as a Site Selection Best to Invest Top Investment Promotion Agency for Latin America. Specialized professionals in economics, IT & software development, legal, psychology, journalism, digital marketing, agricultural engineering and other fields provide assistance to top clients in several languages including English, French and Portuguese. Site selection: Provides detailed information on the country and its advantages, and organizing customized investment agendas. Centralizes, standardizes, customizes, generates and analyses information for RFIs regarding FDI statistics, population and labor force data, salaries, labor law, operation costs, availability of qualified talent, tax subsidies, multinational companies and more. Meeting the investor’s needs: Arranges meetings with other investing companies for benchmarking as well as with service providers, government organizations, universities, real estate brokers, attorneys, accountants, industrial parks and business centers, environmental specialists, telecom providers, and many more key stakeholders in the investment process. Networking: CINDE facilitates direct contacts and links with potential investors from North America and other countries through CINDE’s office in New York. It acts as a key mediator between the public and private sectors, with companies leveraging CINDE´s services. It becomes a facilitator between private and public sectors and the government to launch new initiatives in academia and overall investment climate improvement. Specialized support: Once the company has established itself in the country, CINDE provides specialized support for strategic aspects geared towards new operational expansion projects or promoting product diversification. A very strong and well-established working relationship with multinational companies, ministries, organizations, chambers, government, and education institutions make those efforts possible.